Glass brings a pure, refreshing clarity to any outdoor structure. And with the growing popularity of glass as a building material, contractors are often asked about its use in custom deck designs. As an architectural feature, glass rails are an especially impressive way to preserve a pristine view. 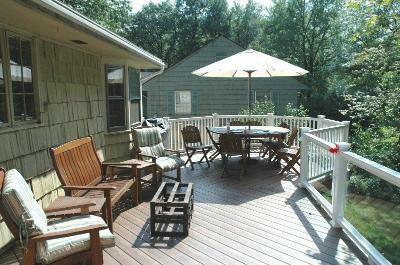 So if you have a home with scenic surroundings, this blog post is for you. 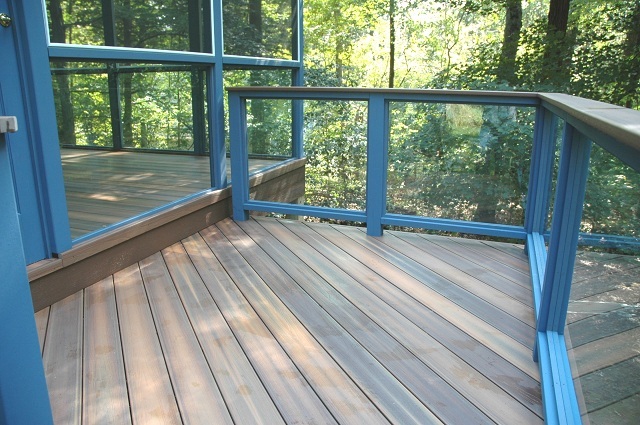 Whether your backyard overlooks a sloping wooded lot, a swimming pool, beautiful gardens or has a water view, here are tips to avoid deck-rail-obstruction by using glass. Either way, the rail is stylish, strong, contemporary and low-maintenance. Caring for your exterior glass isn’t difficult, albeit it should be done often. Keep panels or balusters spotless and sparkling with a mild cleaning solution appropriate for glass; then dry and polish with a lint-free cloth or squeegee. Solid rails, although beautiful, have two inherent disadvantages: weight and cost. 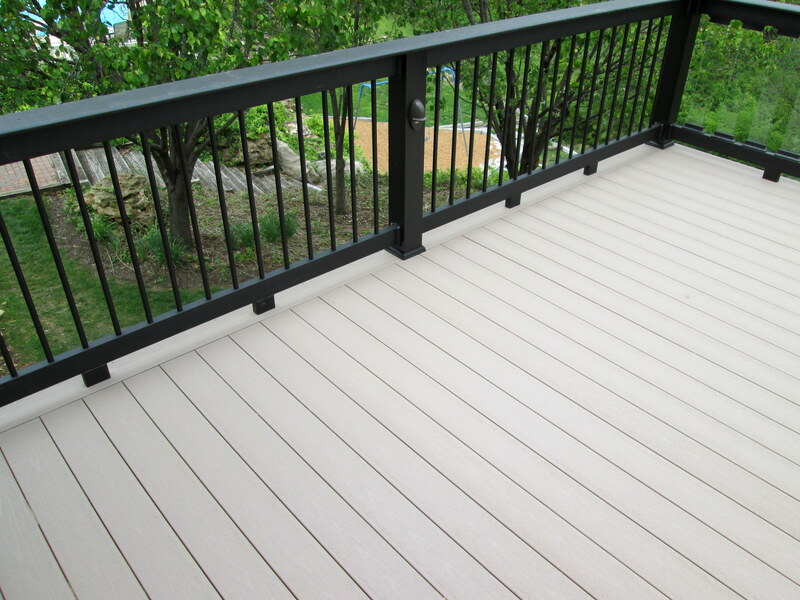 The easiest solution to reduce the load and the price is by having your contractor use panels only in selected positions around the deck or use glass balusters instead. Oops, one more thing worth mentioning. Depending on your building site and the direction of the sun, solid glass panels could create a ‘heat zone’ on your deck. In this instance, balusters are a better choice to increase air flow and circulation. On the other hand, solid panels can serve as a perfect ‘windbreaker’ without the loss of a view. Dress up an otherwise humdrum deck or porch with glass rails to provide an unobstructed scenic view with plenty of contemporary style. Safety-wise, there should be no problem with code-compliant, tempered glass but that doesn’t mean glass rails are indestructible. Cleaning is simple although it needs to be done often, especially with children and pets. Oh those little hand and nose-prints! 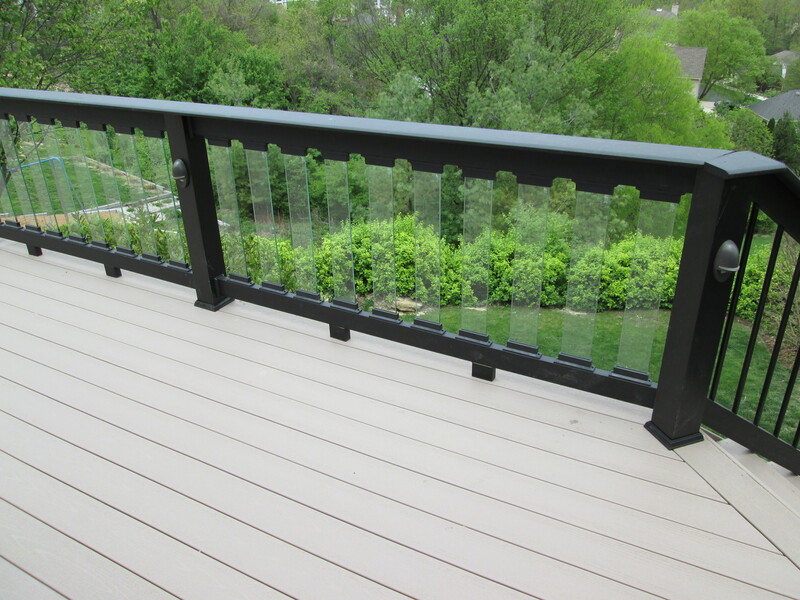 Price-wise, some folks consider glass rails ‘expensive’ but contractors can reduce costs by using glass, strategically: panels or balusters can be installed for only certain deck areas and combined with a complementary rail, elsewhere. To increase privacy, frosted, smoked, tinted or laser-etched glass railing is available too. 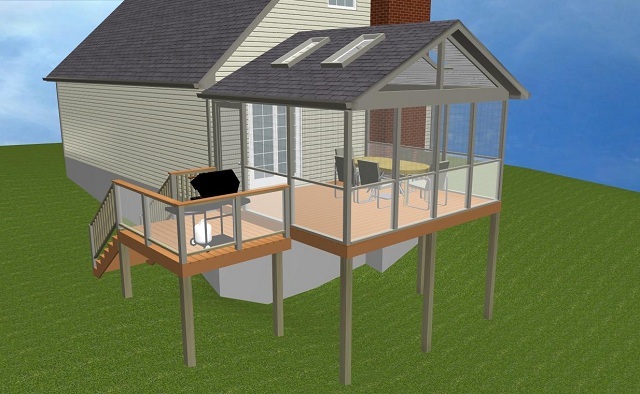 If you live in the St. Louis Missouri area and you’re thinking about adding a deck, screened porch, pergola or other outdoor structure to your home, please think about Archadeck. Conveniently located in West County and proud of the work we do, hop on over to our local website, west-county.archadeck.com to see more! On the homepage, you’ll find a quick-and-easy-to-submit online inquiry form. But if exchanging info via the internet isn’t your favorite thing to do, just call us… anytime 636.227.0800! Not a ‘stone’s throw’ away from St. Louis or St. Charles Missouri? Go to archadeck.com, type in your zip code and you’ll find an Archadeck office in your neck of the woods. Unfamiliar with the Archadeck brand? Learn more by reading ‘About Us’ on this blog. And thank you for visiting!